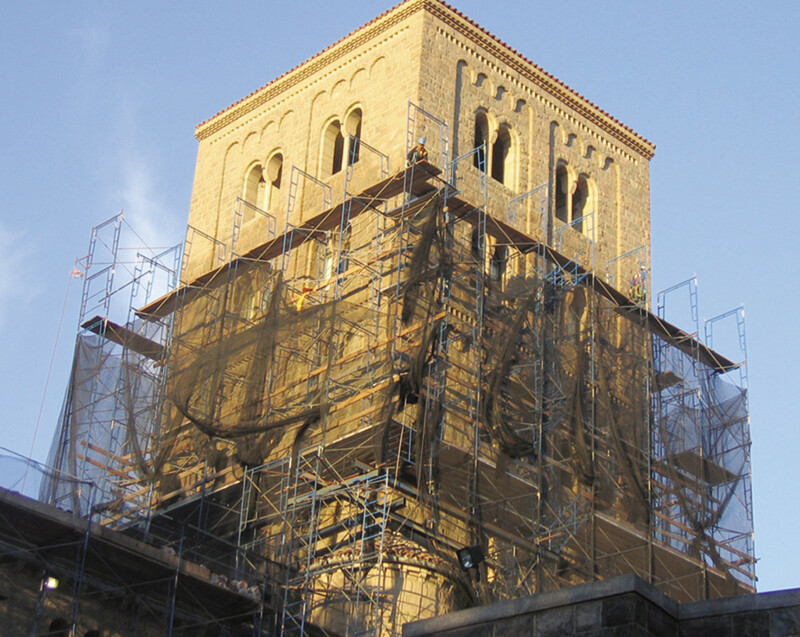 The historic Cloisters building gets cleaned, waterproofed and re-engineered by Walter B. Melvin Architects, LLC, of New York City. Medieval monks often built themselves walled compounds on mountaintops, the better to keep their vows of retreat from the world. So when The Metropolitan Museum of Art set about creating a suitable Manhattan home for its medieval artifacts in the 1930s, only a hilly site would do. John D. Rockefeller, Jr., who’d just given the Met scores of medieval sculptures and architectural fragments, acquired the steep, forested, northernmost tip of Manhattan for the new museum branch. 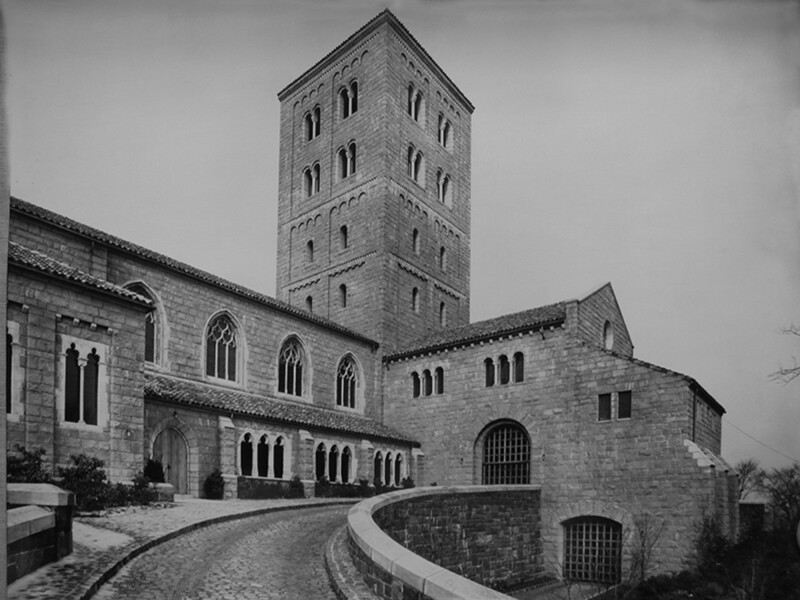 The Boston, MA-based architectural firm of Allen, Collens & Willis, prolific Gothic specialists who had just finished a Rockefeller-funded church in northern Manhattan, was hired to fashion a towered granite pile called The Cloisters. Its tile roofs shelter galleries full of not only paintings and tapestries but also entire rescued rooms and colonnades. The architects, led by partner Charles Collens, skillfully wove 12th- to 16th-century fragments into new travertine-walled rooms. Where monks used to illuminate manuscripts or discuss harvests, museum-goers now roam calming, accurate replicas or evocations of French, Italian and Spanish medieval space. 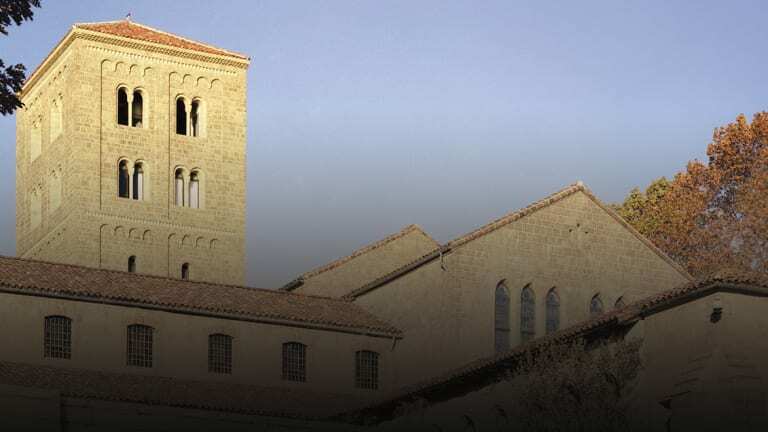 In the country’s only museum devoted to medieval art, sunlight streams through slit windows or stained-glass Biblical scenes onto Romanesque archways sculpted with angels and griffins. The zigzagging roofline – whether Mission tile slopes, quarry tile flats or glass-block skylights – was analyzed and upgraded. A leaky flat skylight made of steel-framed glass blocks, sheltering a ca. 1200 cloister, had to be replaced with a glass pyramid (designed by Einhorn Yaffee Prescott’s New York City office). 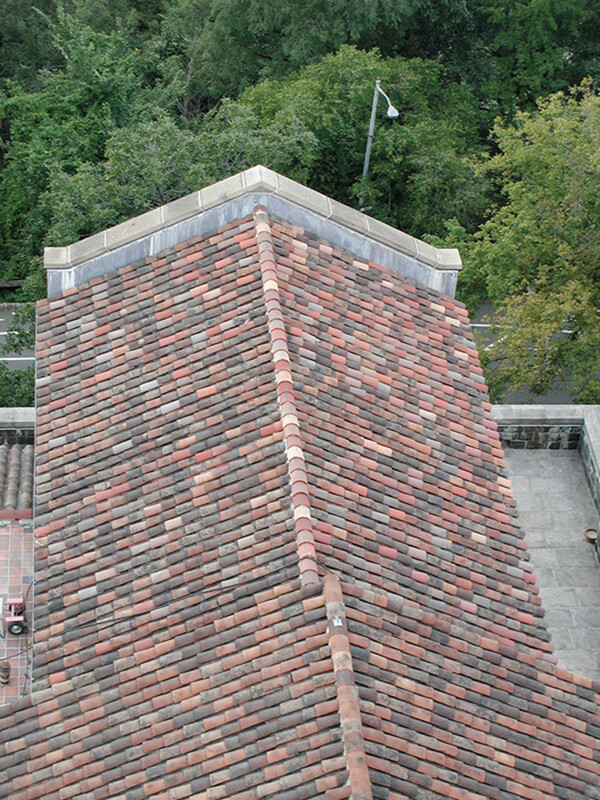 The Mission tile were largely salvageable, except at the ridges, which were replicated by Orchard Park, NY-based Boston Valley Terra Cotta. Beneath the tile run layers of lightweight nailing concrete and self-healing Grace Ice & Water Shield. 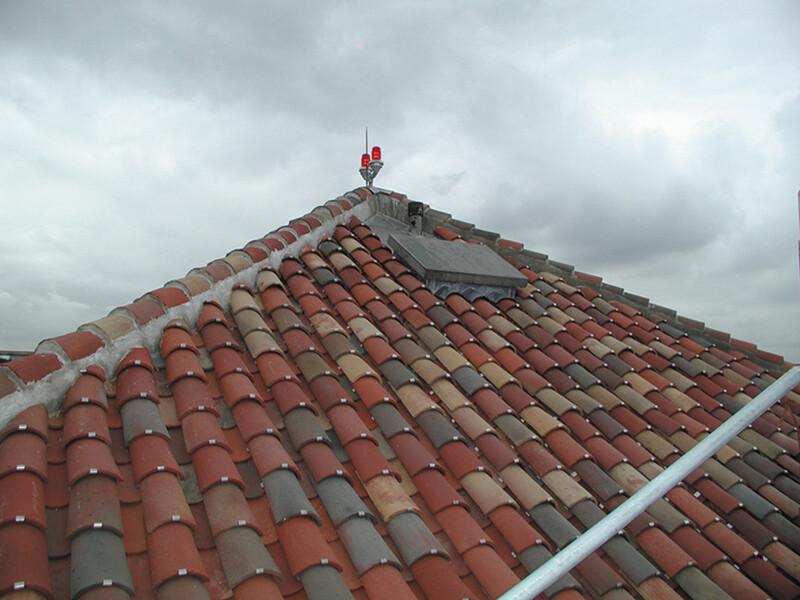 On tower slopes, where tile were originally embedded in mortar (to resist wind), stainless-steel hold-down clips now grip the tile. Expanses of quarry tile had failed, and when they were pried up, their undersides revealed manufacturers’ stamps from Dennis Ruabon in Wales. 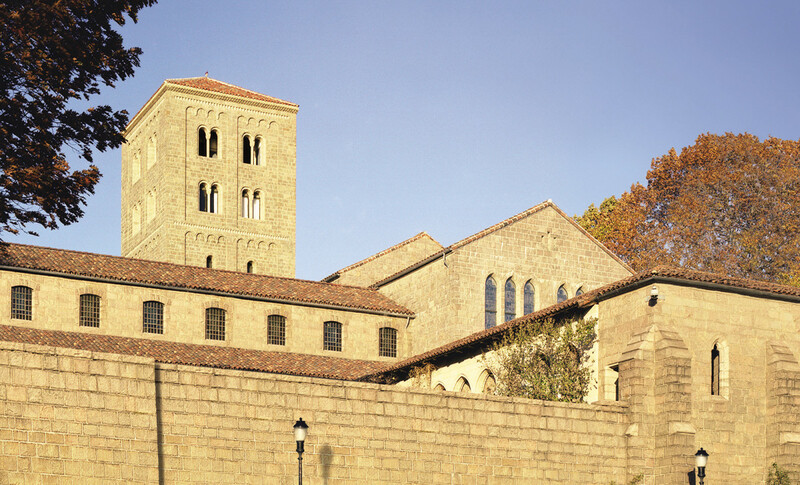 Still in business, the company provided replacements for The Cloisters in the original array of four unglazed terra-cotta shades. (Below now lie Kemper liquid-applied waterproofing and Grace drainage mats, with salvaged upturned pan tile serving as terrace drainage troughs – just as Collens had resourcefully installed.) Likewise the original supplier of the tower’s steel casement windows, the U.K.’s Crittall Windows, is fortuitously still operating. The casements’ vintage chamfered-bronze handles have been saved, to operate new sash with sweeping Manhattan and New Jersey views. New mortar was concocted from two grades of Schofield sand, Saylors cement and hydrated lime, laced with burnt-umber pigment. But it didn’t look quite rustic enough until the stone underwent vortex cleaning. A chemical-free, low-pressure spray of water and powdered glass slightly abraded the mortar. “It gave us the right effect, the effect we’d been trying for but not yet achieved with hand tools,” says Alan Gallicchio, the project manager at West New York Restoration in the Bronx, NY. The Met has managed to keep most galleries open throughout the overhaul. 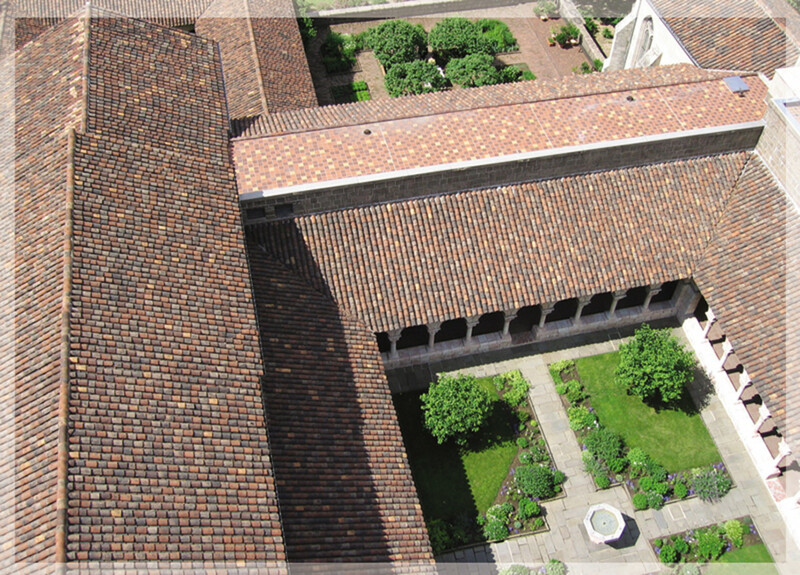 “We took the masonry and roofing apart, and put it back together, with no impact on the museum’s daily operations,” says Dino Rossi, vice president of operations for Graciano’s New York division. During brief closures of some rooms, artisans built new wooden or stone frames for stained and leaded glass. Bottom and top vent slits keep the glass evenly bathed in room air, and thus protected from condensation. The curators are now bringing out dozens of Medieval windows that have rarely been exhibited. 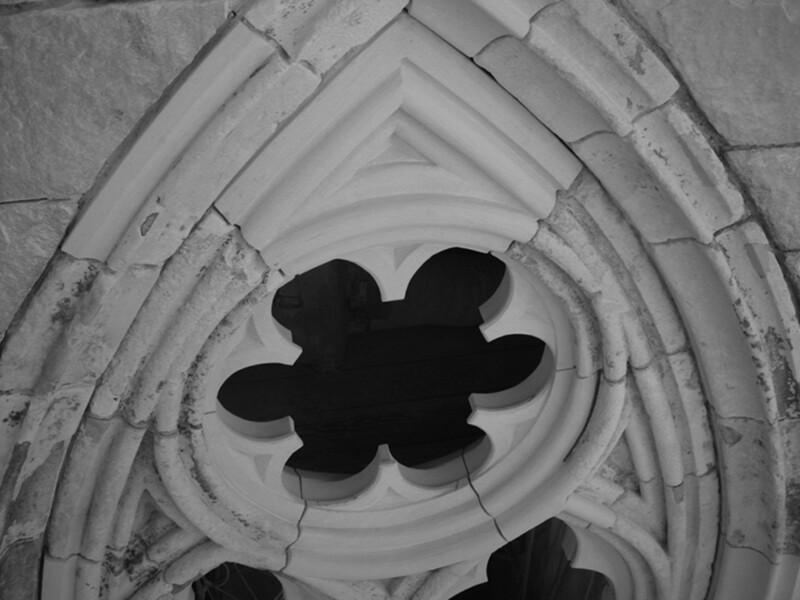 In a gallery called the Early Gothic Hall, two new limestone lancet windows have been cut into an interior wall, to contain backlit stained glass. In an exterior wall, three 13th-century limestone windows overlooking the Hudson River have become venues for changing stained-glass displays. The replacement stones, from a quarry in Normandy, France, look almost exactly like the original pieces from the Norman town of Beaumont le Roger. A conservator slightly distressed the exterior, so it will soon develop a surface calcification, just like the vintage sections. The interior replacement stones, meanwhile, have been chiseled and rubbed with paint pigment, so only an expert would know that they never spent time weathering in a Normandy garden. The low-E, low-iron, ½-in. glass is “dead-on clear,” Bates adds, so it won’t distort any of the stained-glass hues. A few millimeters in front of the windowpanes, he snuck slotted bronze tubes to support adjustable bronze nuts and coped-tip t-bars for Medieval windows. 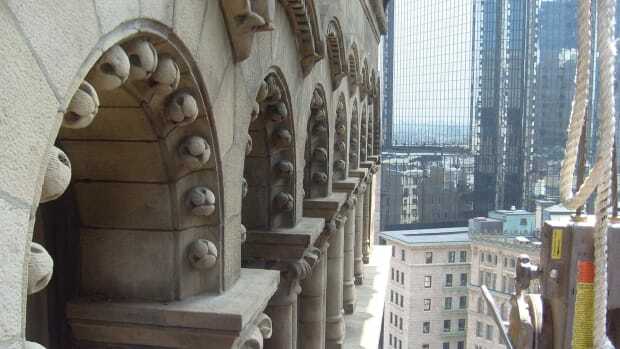 Engineering firm Simpson Gumpertz & Heger's masonry restoration of the historic Ames Building in Boston required a precise approach to how the building’s structural and envelope barrier systems functioned. 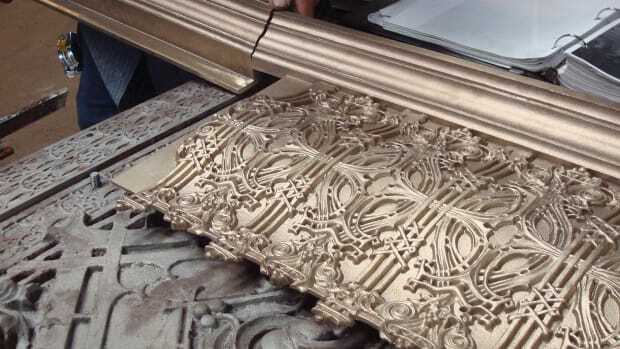 A look at the process behind restoring the historic metal facades in two building restoration projects in Illinois. 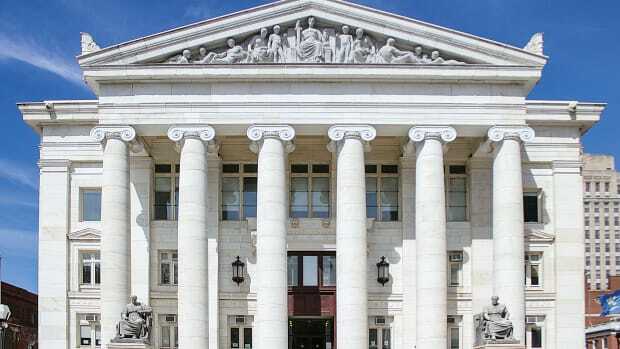 JCJ Architecture restores the 1914 New Haven County Courthouse.